How can I make a home theater? If you need a home theater installation in Chicago or set-up an automation system in your house, you’re in good hands. We offer a variety of automation services to get you in control of all your systems and devices. Would you like to chill and relax in front of a huge screen? 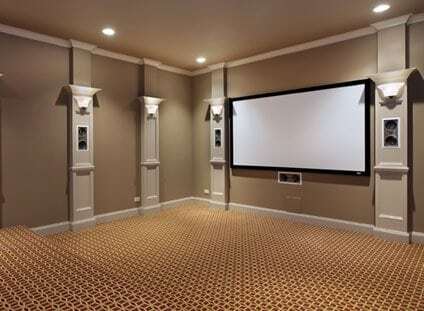 We provide you with the most reliable home theater installation Chicago ever had. Do you want to control the lighting with your smartphone? No problem, we have the smartest home automation installation crew. We take care of everything from installation to repairs and maintenance, creating systems that amaze with usability and easiness of use. 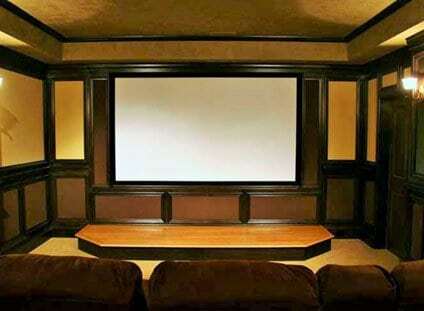 We specialize in custom home theater installation and tailor every system to match your special needs and budget. LowVoltex offers home theater design & installation, home audio and smart home systems! LowVoltex Inc. was established to handle the rapid growth of electronics technology like home theaters and smart homes, both in residences and businesses. We offer a full spectrum of professional services to custom home builders and homeowners in Chicago and all it’s suburbs. We Cover All Of Your Home Audio & Video Needs! Our services include home theater design and installation, whole house audio and video distribution & smart home installation. We can also take of full home automation: automated lighting, shade & drapery control, structured wiring and security systems for residential and commercial properites. 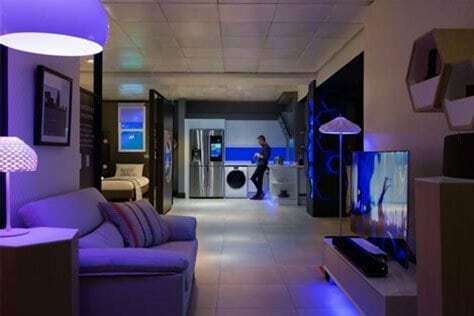 We are the leading provider of smart home installation & whole home automation in Chicago. Providing equipment, system design and installation of electronic systems. LowVoltex offers only the highest quality technology to control all your home devices with the press of a button! Why choose LowVoltex home theater installation? LowVoltex Inc. is your best bet for home theater installation, or for a smart home in Chicago. Smart homes aren’t just science fiction anymore. Our talented team can quickly make this sci-fi dream a reality with high-quality equipment—all at an affordable rate. At LowVoltex, we got over 15 years of experience in home automation. Since the begining we specialize in custom home theater design & installation services, so as full home audio installation. When you choose our company, you can be sure the equipment we install is top-notch. We specialize in providing highest quality home audio and home automation services in Chicago and all the suburbs. Custom home theater installations don’t have to cost a fortune. 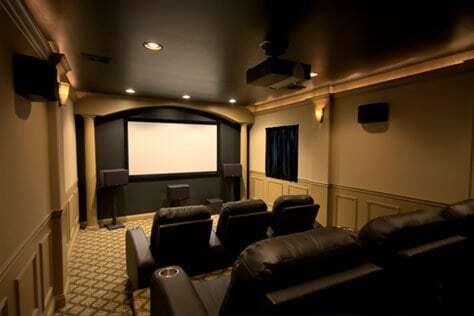 Send us a quote and receive a free estimate for home theater design, installation or full home automation! We always complete our projects on time—just as we said we would. Choose LowVoltex for your smart home installation – satisfaction guaranteed! A variety of services provided by LowVoltex Inc. Learn more about home theater installation, smart home and full home audio installation! Who doesn’t want the movie theater experience from the comfort of their own home? Incredible audio and visual, comfortable seating… We can handle it all with our home theater installation! Want to fill your home with music? Consider whole house audio! 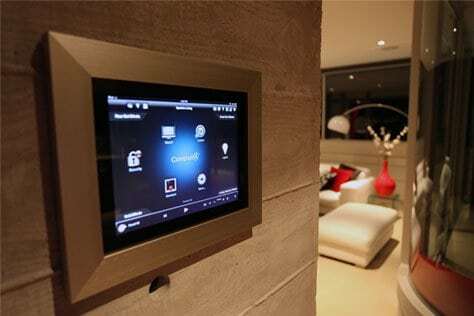 With speakers and touch control panels throughout your entire home, you can enjoy and control your media from any room! Distributed video allows a single video source to share its content between multiple televisions. If you have multiple TVs in your home, this could be an ideal solution for you! Find out more today! 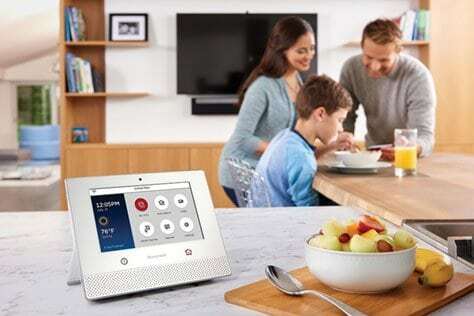 An excellent option for people who constantly lose their remote, our smart home installation can control your electronics, appliances, security systems and more! Never worry about losing the remote again! If you have several computers and printers throughout your home, home networking is a great way to streamline your operation. Share files, printers, and internet access between them all with wireless technology. Traditional lighting provides you with only two options: on or off. But what about more subtle lighting options? With climate and lighting control, you can control the lighting levels to create nuanced moods to suit your personal needs. Never struggle to open and close your blinds again with our motorized window treatments and installation services. Open and close your window coverings with the single touch of a button. Want to view what is happening in and around your home? 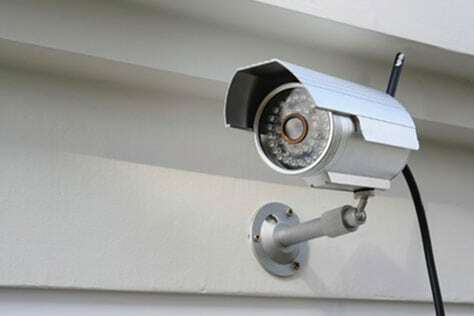 CCTV video surveillance may be the perfect option for you. Feel more secure and at ease in your home with our advanced security systems. LowVoltex takes care of your wiring as well! We specialize in structured wiring, keeping your wiring on the cutting-edge and making sure it performs the way you need it to. LowVoltex Inc. offers a wide range of services that will allow you to make the most of your home entertainment. 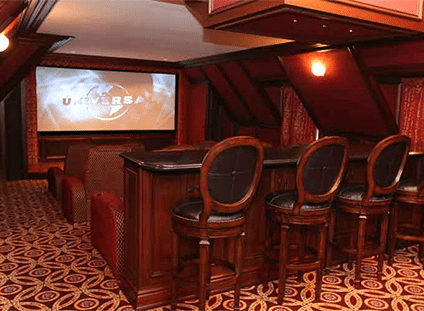 With our custom home theater installation, you can enjoy your favorite movies and games however you like. 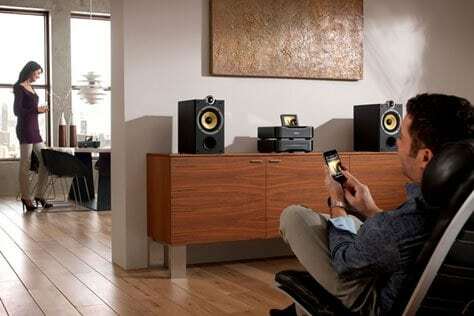 For music lovers, we provide excellent home audio in Chicago, as well. If you’re looking for smart home installation, we’ve got that covered too. But don’t take our work for it, check out our reviews online! Check out Yelp and Google+ to learn what our customers say about our services and equipment. If you’re unconvinced that we’re the best in the business, our clients’ reviews should speak for themselves. 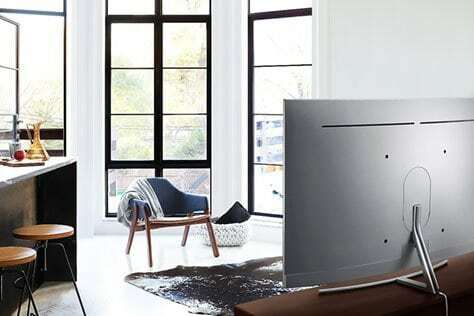 We know that we’re very good at what we do and take pride in providing you with excellent home theater installation, smart home installation, and home audio Chicago. Our customers agree, so take a look at their reviews on Yelp and Google+! As technology expands into every part of our lives, equipment becomes more affordable and accessible than ever. But what does that mean for you? A high-quality home theater is more in reach now than ever before. This exciting progression means that you can watch movies from your own home and feel as if you were in an actual movie theater. For the best results with your home theater, contact LowVoltex, the leading home theater installation company. There are many factors to keep track of during your home theater installation. Let’s start with lighting and size. You need to ensure you have enough space—and that you leave space for the audio setup. Unless, of course, you’re planning to screen only silent movies! The next step is choosing your TV. When making this decision, bigger is not necessarily better. Rather, consider the distance you will be sitting from the screen and the size of the room. As a general rule of thumb, the screen should be 1.5 to 2.5 times the distance from the TV to you. Next, consider the lighting. The lighting should be matched to your screen type (i.e. plasma or LCD) to reduce eye strain. Next, it’s time to pick the audio! Often, using several speakers will create a more immersive experience, essentially creating a surround sound system in your own home. And don’t forget the seatings! Will you have a comfy couch? Or do you want an authentic movie theater experience with tiered seating? How many people do you plan on seating? Consider your options carefully and we’ll work with you to make your dream a reality. 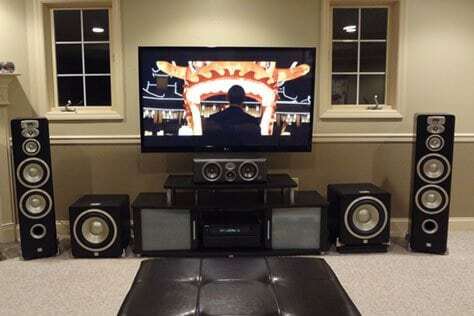 For the best home theater installation in Chicago, contact LowVoltex Inc. When you work with LowVoltex, we manage the process from start to finish. We will help you choose the best equipment possible, from the TV to the sound system. We will always keep your budget in mind and we love answering questions! 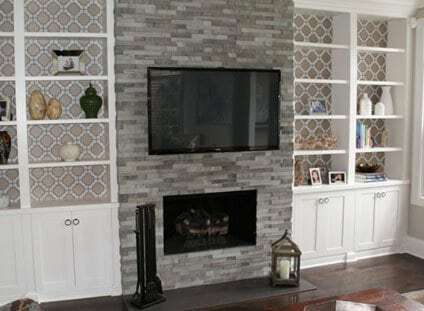 Our home theater installation, home audio, smart home & home automation services are available also in Chicago suburbs! Low Voltex Inc. – providing complex home theater design & installation, home automation systems, audio & video services for commercial and residential users in Chicago and all the suburbs.